In the market it's easy to find a flexible metal label, but the reading distance is so much unsatisfied, do you have the same feeling? Reading distance from 2 to 3 meters, how come they meet your project's reading requirement up to 5 meters! 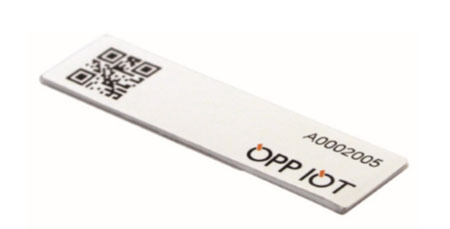 Now you can have a check of the UHF Flexible Metal Label Long Reading Distance Label from OPPIOT - the latest OPPF8020 and OPPF5015. OPPIOT's OPPF8020, With size 80*20mm, thickness at 1.3mm, reading distance can be up to 6.5 meters with 4W readers. It's amazing reading distance among the similar products in the market. Its good function on metal surface give a lot of intergrators a lot of help on projects of curve metal surface tracking solution which solid tags can't be used well. It can be used for gas cylinder RFID tracking, pipe UHF tracking, asset tracking, and so on.